When C was born we only ever wrapped him up in baby blankets when he was sleeping, which I think was partially down to the fact that that's how he slept in the Special Care Baby Unit and also simply because of his small he actually was. I'd never used a baby sleeping bag with him. This time round, with E, I was determined to use them. C always, and still does even now, would kick the blanket off him and when I get him in the morning he's cold. 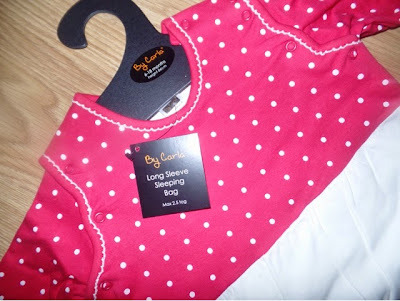 Kit for Kids sent E a gorgeous By Carla Long-sleeved baby sleeping bag in Raspberry Bloom design (they are also available in Lazy Days, Little Birdie and Little Stars designs). The bag comes in sizes 0-6 months and 6-18 months. Although E is 4 months old, we opted for the bigger size as she is quite a long baby plus she would get more use out of the larger one. When I first opened it out I did think "wow, this IS big" but then remembered that an 18 month old has to be able to fit too! When she has it on though, she isn't lost in it. It is a great fit and you can see that she still has plenty of room to grow. I've never seen a long-sleeved baby sleeping bag (maybe I'm just not looking hard enough) but I was really excited about it as I've found that E's hands and arms are freezing in the morning. Due to the size the arms were a little long but they are easily folded up. 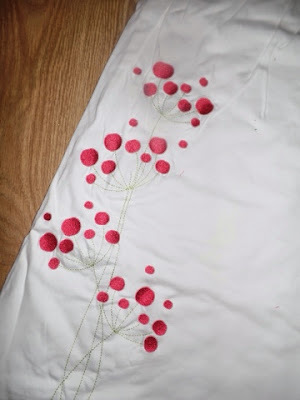 There are also popper buttons around the shoulder so you can completely remove the arms if you wish so it can be used all year round. The 0-6mth version also has built in scratch mitts. The bag is 2.5tog so it is relatively heavy and perfect for keeping your baby warm. 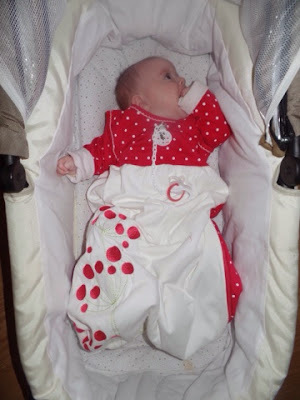 Fastening it is easy and the design is comfortable for your child. Next to the neck are popper buttons and there is a zip starting from the bottom centre of the bag right up to under the armpit. 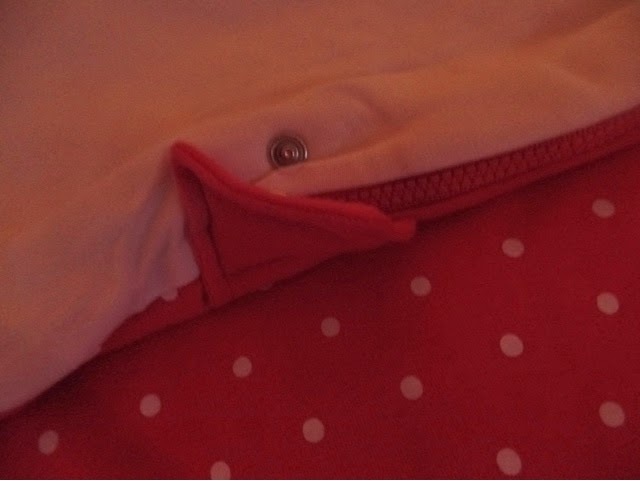 The start of the zip has a covering too so you have no need to worry about your child getting hurt on it. It has a beautiful girly design on it too which I absolutely adore. 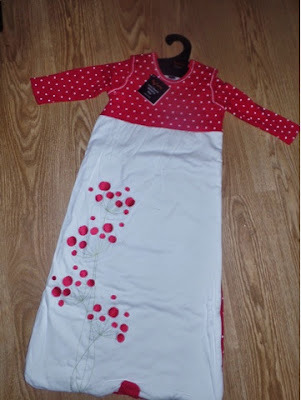 It's made from 100% cotton and is machine washable. 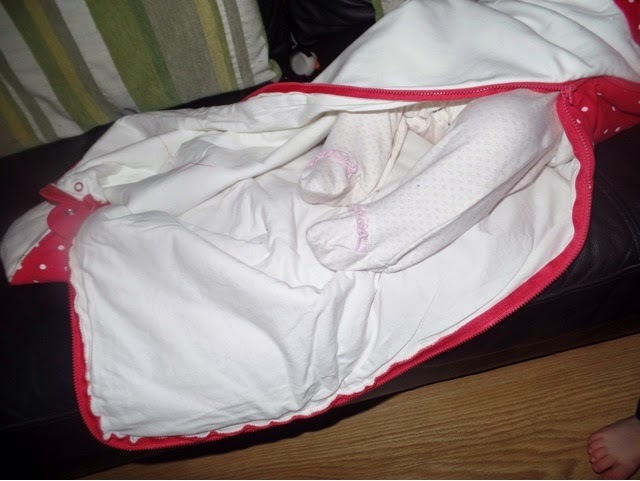 You can purchase your own sleeping bag for £27.99 at Mothercare.